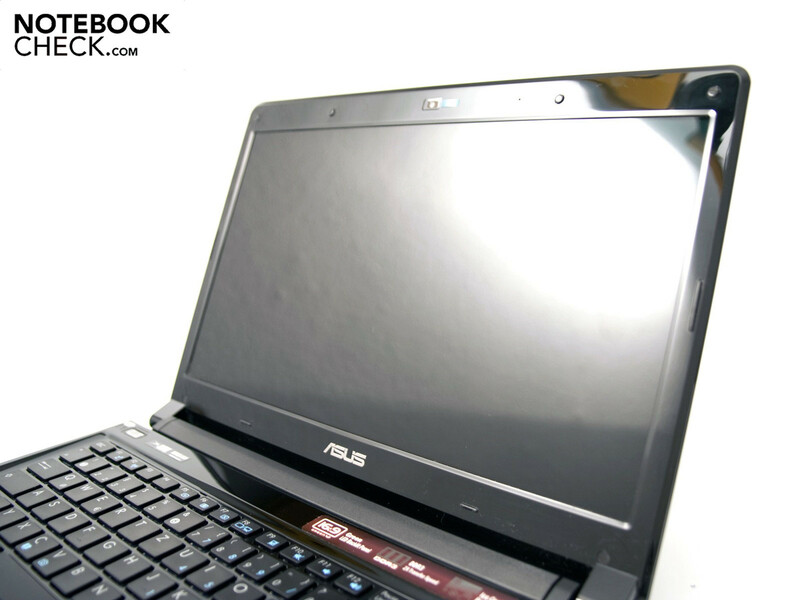 "UltraLight" is the name Asus has given to the new UL notebook range that has now been released onto the market. The UL80 models have a 14.0 inch HD display and a hybrid solution made up of Intel's GMA 4500MHD and Nvidia's GeForce G 210M graphic card. The "8" in the name steps out of line for our course of thought, but is explained quickly with the superstition "Center of the Earth". Thus, the UL80 positions itself between the smaller UL30 and the bigger UL50. The new notebook range allegedly combines a long battery life with a strong computing performance. 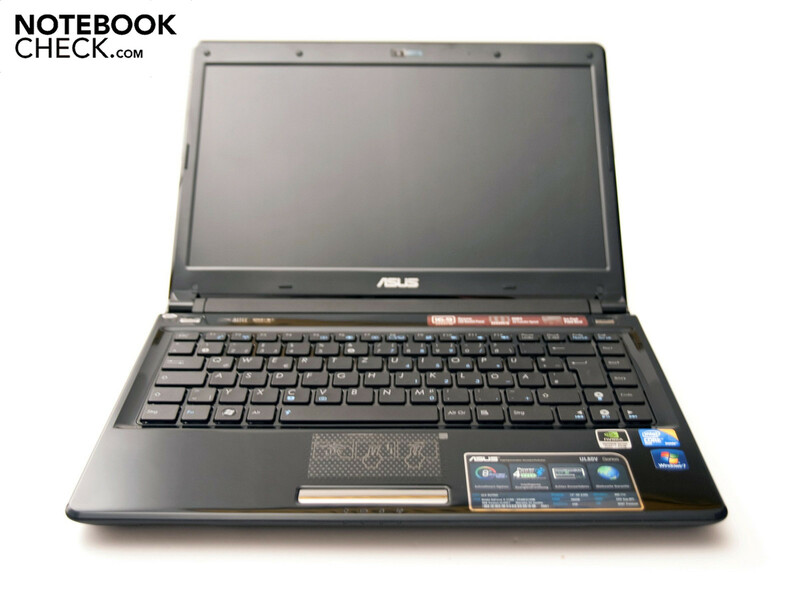 Asus uses either an overclockable Intel Core 2 Duo SU7300 or 9400 processor with Intel's GMA 4500M HD graphic. 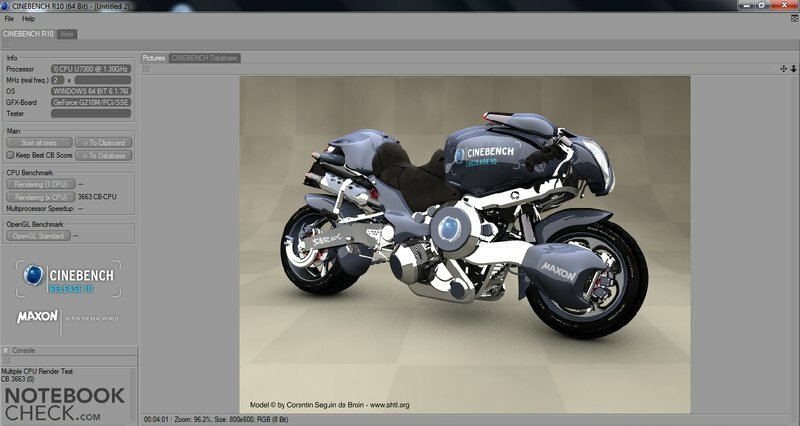 The 14.0 and 15.6 models are additionally equipped with a hybrid graphic solution. 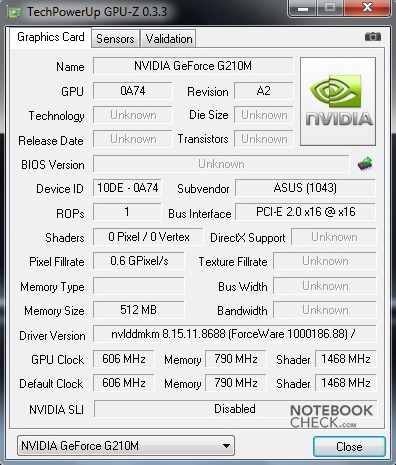 These notebooks bid an Nvidia GeForce G 210M graphic card, which can be enabled or disabled during use as required. The UL80 model row is only available with high-gloss displays that make a maximum resolution of 1366x768 pixels possible. The bigger UL50 models can be selected with a matt display. We've brought the UL80Vt-WX028V into our editorial office for this review. A bit of information first: The prototype has been equipped with a 14.0 inch HD display, an Intel Core 2 Duo SU7300 processor (1.30 GHz, ULV), a 4 GByte DDR3-8500 RAM and a 500 GByte hard disk memory from Seagate. 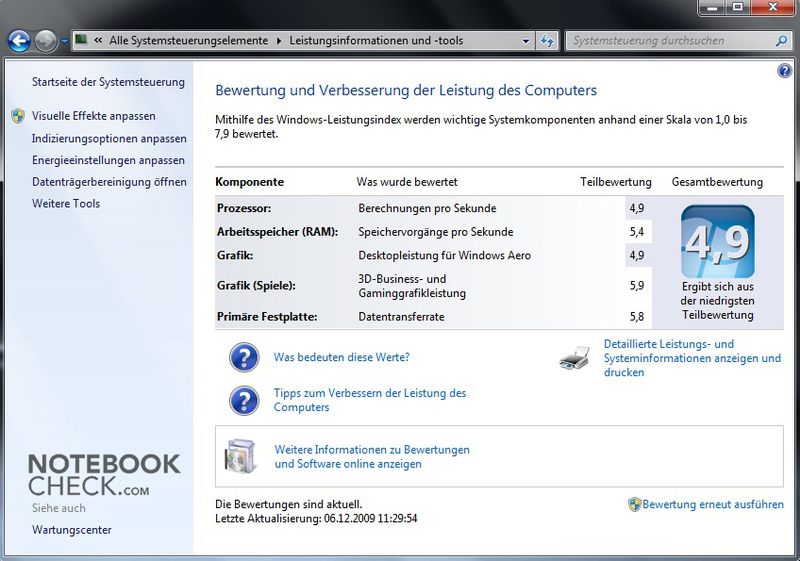 This configuration is already available and Asus offers it for about 799 euro (RRP, incl. VAT). Black or silver? You have to ask yourself this question before buying because Asus provides the UL80 models in either simple silver or elegant black. Our prototype looked very high-end, elegant and timeless with the black finish and the black display lid of brushed aluminum. Except for the aluminum faceplate on the display lid, the rest of the case is made of plastic, which doesn't have any negative effect because the case and the coating have an overall very good and high quality workmanship. Coating or manufacturing flaws are looked for in vain. The design looks much attuned because it hasn't been overloaded with superfluous eye-catchers. Similar to its bigger brother, the UL50, the keyboard reminds strongly of Apple MacBooks. The UL80V only weighs 2.19 kilograms at a size of 33.8 x 24.0 x 1.40 - 2.68 centimeters (width x depth x height). Thus, the notebook is in the upper center field for a 14.0 inch notebook. One of the UL range's strengths is in this field, as it should convince with a slim construction and a low weight. The Asus UL80Vt's highest spot is only just 2.68 centimeters. It can't keep up with Dell's new Adamo, but it doesn't have to anyway. The case has a good stability despite this slim design. The case only yields under excessive, selective pressure. The display lid yields slightly and is flexible despite aluminum faceplate. This is principally due to the thin construction and the applied LED backlight that only needs a low construction height. The display hinges look very sturdy because they've turned out quite big. The display can be aligned precisely and can be opened by 120 degrees towards the back. The bottom tray is kept in a matt black and has, aside from the usual stickers, two covers to access the RAM and the built-in hard disk. 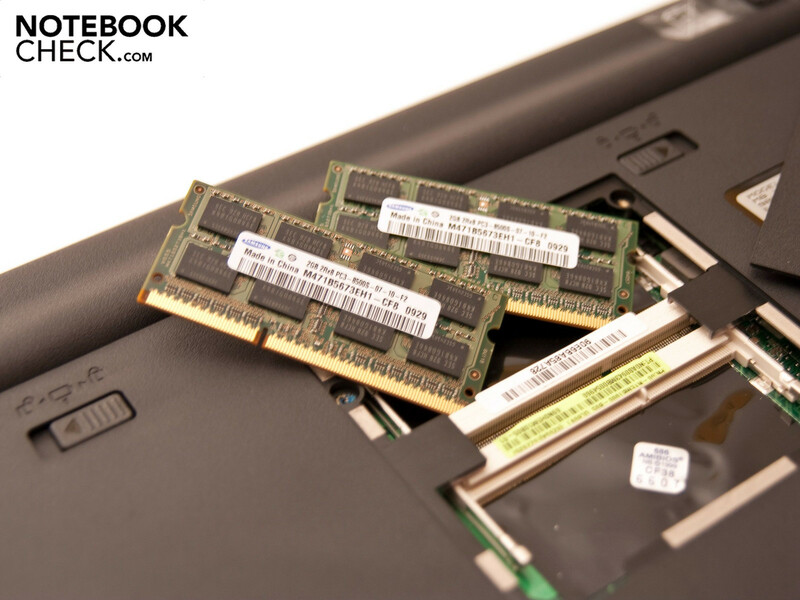 A Samsung 4GByte DDR3-8500 RAM has already been built-in ex-factory in our model, the UL80Vt-WX028V. It's also the maximum configuration as Asus states. A Seagate 500 GByte hard disk is also built-in ex-factory. 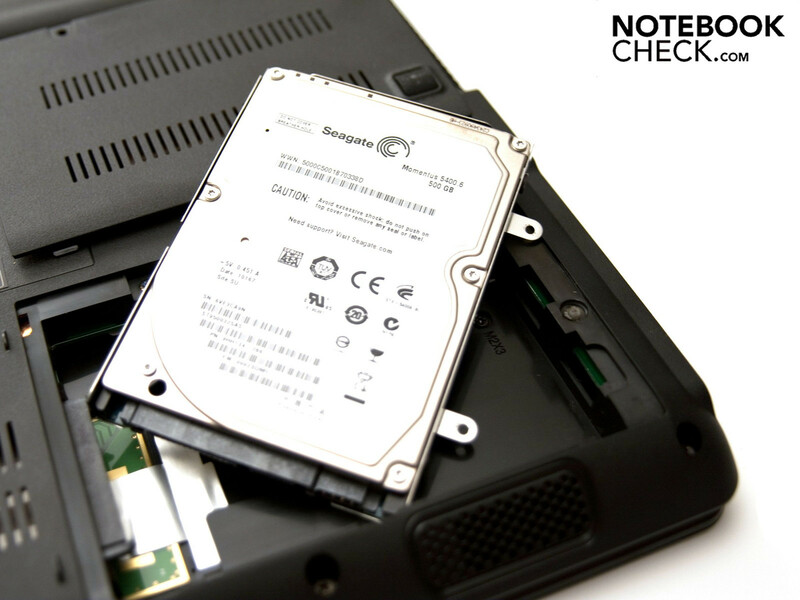 The hard disk can be exchange for any hard disk size with a construction height of 9.5 millimeters. The UL80Vt supplies you with a solid measure of interfaces. There are two USB 2.0 ports, an analog video-out (VGA), a digital video-out (HDMI), the DC-in and audio sockets (headphone-out, microphone-in) on the left. Unfortunately, both built-in USB ports are fairly close to each other so that problems could turn up with bigger plugs. On the opposite, right side a further USB 2.0 port, an RJ-45 network connection, the 8-in-1 cardreader (SD, MMC, MS, MS-Pro, xD, Smart Media, Mini SD, with adapter: MS-Duo) and LG's GU10N DVD Super Multi DVD drive that has been nicely fitted to the case's form are found. Asus waives further interfaces for peripherals, like eSATA or FireWire. At the same time, an ExpressCard slot for extension cards hasn't been integrated. There isn't any place for further connections on the front because of the slim design, but they would have only been annoying there anyway. Instead, Asus has built in two Altec Lansing stereo loudspeakers under the front. You can read how they've scored a bit later in the review. The rear has also been unfettered from connections because the big 8 cell battery (84 Wh lithium-ion, 15.0 Volt) almost occupies the entire case width. Asus has done a good job with the port distribution, except for both USB ports that are too close to each other, and you find everything quickly. The range of interfaces can also be denoted as "good" because the most important connections have been built in. 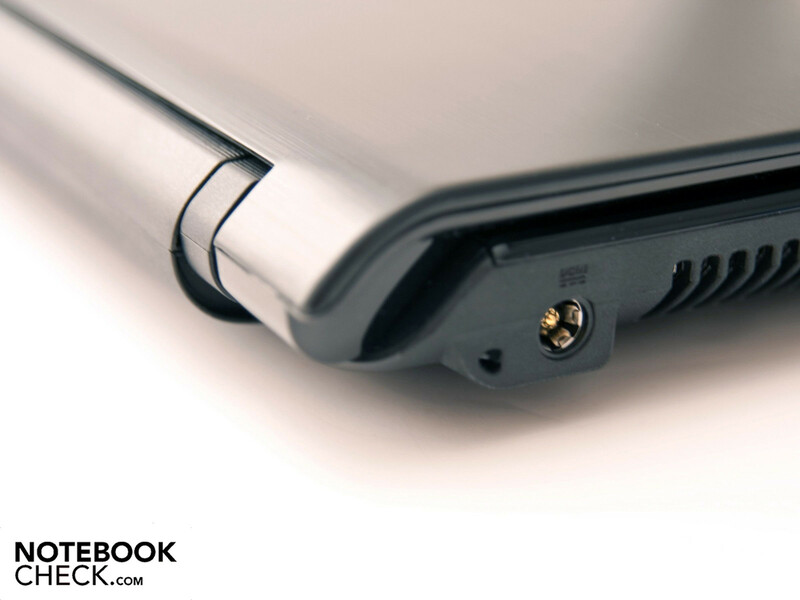 Only one connection is missing, which should be found on every notebook - the Kensington lock slot with which you can protect the notebook against theft. The Asus UL80Vt only includes a loop for a thin thread next to the power socket. 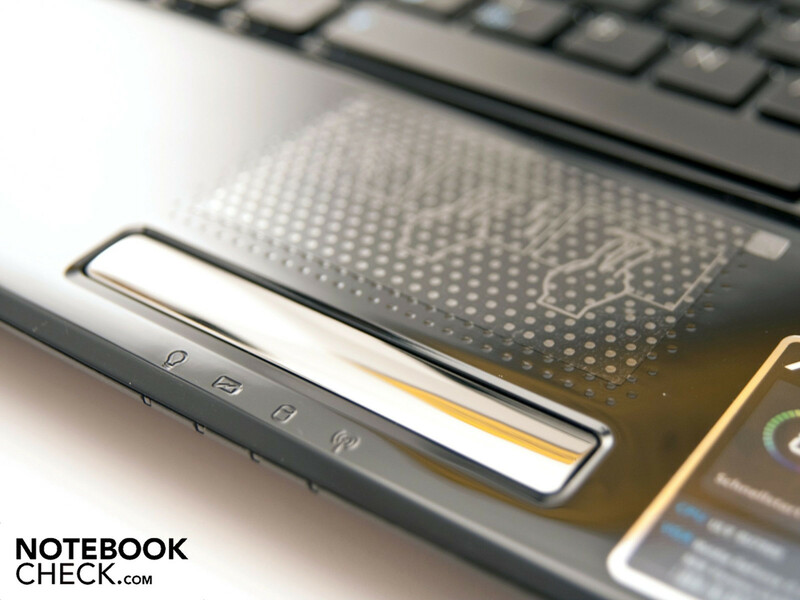 As the other UL range notebooks, our prototype is also equipped with Windows 7. Asus has realized that a 32 bit operating system isn't necessarily contemporary in notebooks with an increasing efficiency. Which is why, Asus has pre-installed Window 7 Home Premium in a 64 bit alternative. Thus, the work velocity is slightly increased and restrictions, in terms of hardware, are abolished (RAM). Asus additionally bids a more or less sensible 60 day trial version of Microsoft Office 2007 (Excel 2007, OneNote 2007, PowerPoint 2007 and Word 2007), a trial version of Trendmicro Internet Security, Cyberlink Power2Go, ExpressGate, Game Park's games collection, Adobe Reader 9 and, of course, programs of its own. Among a few feasible programs, such as the AI Recovery Burner or the LifeFrame software for the integrated webcam. The scope of delivery turns out very meager. Aside from the notebook, you only get the fitting adapter with cable, a reusable cable tie for the adapter, manuals, a warranty card, software and driver DVDs and a recovery DVD. Asus offers complementary supplies retroactively. You can buy everything from cases and mice over memory extensions up to a replacement battery (199 euro) or a replacement adapter (99 euro) for an according surcharge from Asus. The optional supplies stay within a limit in terms of price, but a larger scope of delivery would have been a nice gesture to the buyer. Asus has also kept the keyboard in a chic, matt black. The keys have an overall surface of 19x19 millimeters, whereas the stroke surface has a size of 16x16 millimeters. The key have a medium-short stroke length and a user-friendly layout. Touch typists won't face bigger problems with the keyboard layout. You quickly get used to the layout and will quickly orientate yourself. There's no annoying noise during typing in opposition to the larger UL50Vt-XO037V. The keyboard's base isn't very stable here, either and yields fairly easily. The Fn keys are highlighted in a chic light blue on the black keyboard. There are two small buttons above the keyboard. The notebook can be turned on and off with the right button. A hardware button for both integrated graphic units is on the right. You can switch between a weaker Intel GMA 4500MHD chip set and Nvidia's GeForce G 210M graphic during use. The integrated touchpad has been inconspicuously implemented directly into the case. It has a surface with countless little craters and they have a pleasant touch. You can navigate easily and precisely. The touchpad has a size of 78x44 millimeters and supports various multi-touch gestures. Among others, scrolling and zooming in a vertical and horizontal field, for example. The touchpad isn't separated from the case by a discrete bezel. The response sensitivity is good and the setting options are multifarious. The mouse keys have been integrated under an elegant chrome bar beneath the touchpad. The pressure point is agreeable and the key's response time is good. 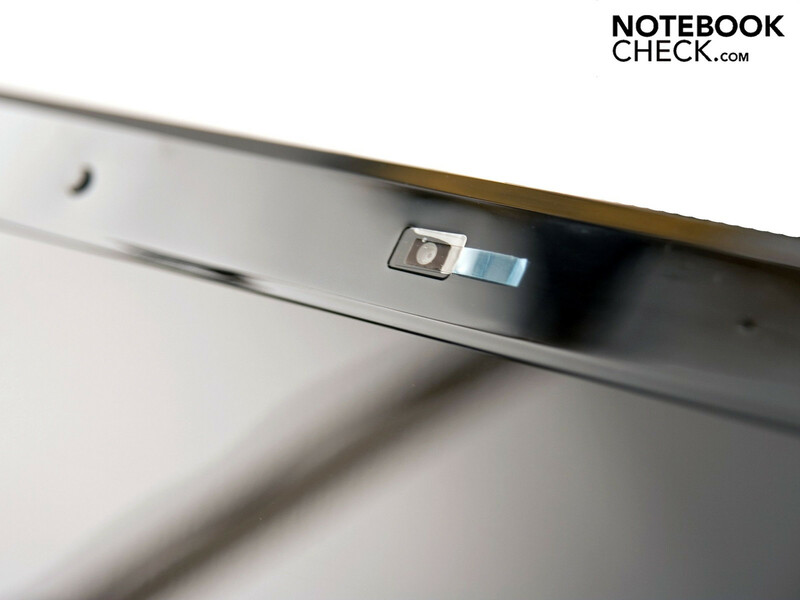 You won't find a fingerprint reader. The UL80Vt is equipped with an LED backlit 14.0 inch HD display that bids a maximum resolution of 1366x768 pixels. Our prototype's display is a high-gloss model. The entire UL80 model range is equipped with comparable displays. 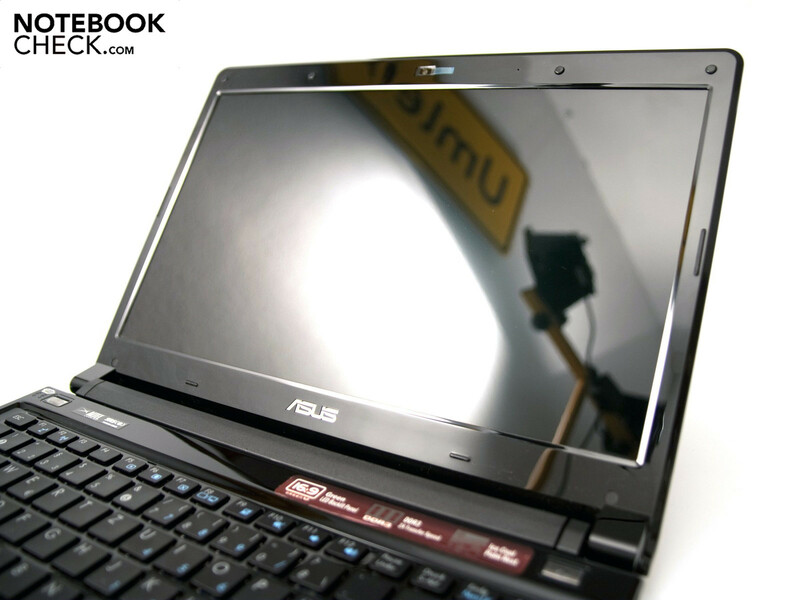 However, Asus also offers the bigger UL50Vt-XO037V with a matt screen. Reflections turn up in both a deactivated as well as in an activated state in the notebook at hand. Subjectively, high-gloss displays have the nicer colors. The 14.0 inch display complies with HD Ready requirements with a native resolution of 1366x768, which reduces the black bars during video material rendering. The display has a good illumination of 84 percent and the average brightness of 185 cd/m2 is also to be denoted as "good". Working outdoors or in adverse light conditions is possible to some extent because the LED backlight bids a good brightness. A further, positive aspect is the availability of the maximum display brightness in battery mode. The color representation and saturation are subjectively good and the contrast of 184:1 is acceptable. Black looks rather more gray than black with a high black value of 1.11. There are displays that have a better value than that. The viewing angle stability on the horizontal plane is generous and the colors and content can be well recognized from the side, too - the color shade only changes slightly. It looks different on the vertical plane. The image is already no longer optimal and the content isn't flawlessly readable anymore at slight deviations from the ideal viewing angle. Asus' UL80Vt is aligned on the field of multimedia and this is reflected in the hardware, too. Intel's Core 2 Duo SU7300 processor is used, which works with a clock rate of 1.30 GHz and a maximum Thermal Design Power (TDP) of 10 watts, aside from the 14.0 inch display. 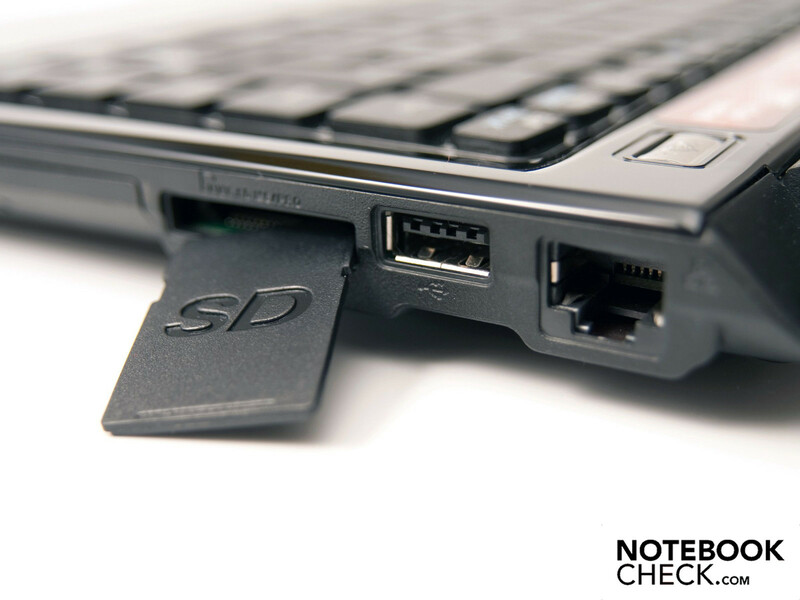 The notebook is also equipped with Samsung's 4 GByte DDR3-8500 RAM and Seagate's 500 hard disk memory (Seagate Momentus 5400.6, ST9500326AS). The hard disk works with 5400 revolutions per minute. There are two different chips built-in for the graphic. The Intel GMA 4500M HD chip set gives a good performance in the office and the Nvidia GeForce G 210M graphic with a core rate of 625 MHz is helpful in multimedia routine. A very long battery life with a good computing performance at the same time is made possible with this hardware configuration. In order to create a basis for comparison, we sent the notebook through our benchmark course, which includes various benchmarks. All benchmarks have been executed in mains operation with the dedicated graphic in a high performance profile. We disabled the energy savings options under Windows 7. Asus has implemented a new technology called Asus Turbo33 in order to get even more performance out of the system. Up to 33 percent more performance can be squeezed out of the processor. The SU7300's standard clock rate of 1.30 GHz is boosted to 1.60 GHz in high performance mode with this technology (according to CPUZ). 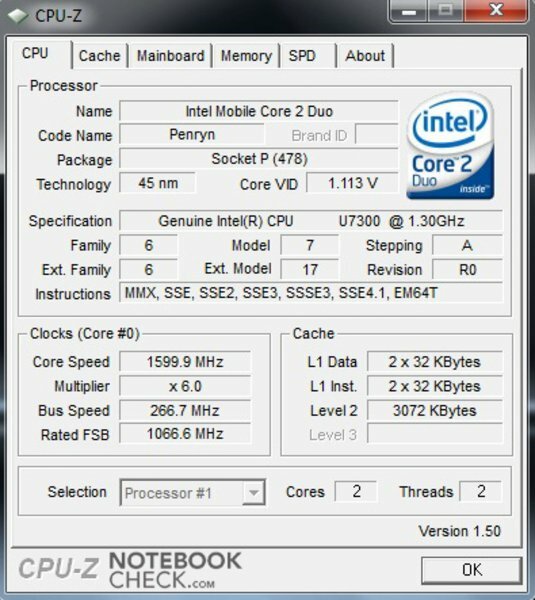 Thus, the SU7300 is now within the performance range of Intel's Core 2 Duo SU9600, which has a clock rate of 1.60 GHz. The UL80Vt went through our benchmark course with the increased clock rate. Futuremark's 3DMark range is the first benchmarks that we ran on our prototype. 17779, 101095 and 6855 points were reached in the older benchmarks like 3DMark 2001 SE!, 2003 and 2005. 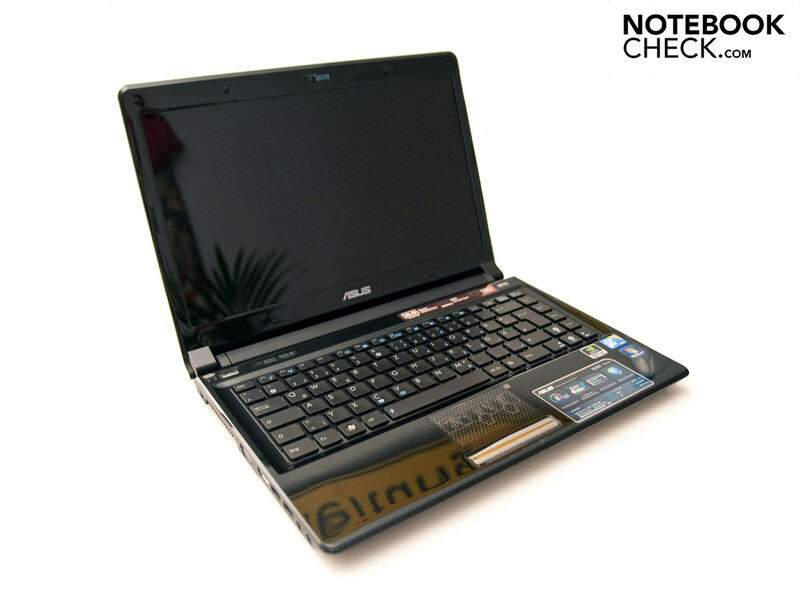 The Zepto Znote 3415W or Asus' A8JS are comparable notebooks. Alienware's M17x notebook is at the top here. 3453 and 1021 points were reached under 3DMark 2006 and Vantage. Dell's Studio 1557 or HP's Pavilion HDX16 have a similar performance. PCMark 2005 could be started and executed but no final result could be established even after various updates. PCMark Vantage ran without problems, though and 3545 points were achieved after short of an hour. Samsung's R522 or Apple's MacBook Air show a comparable performance. 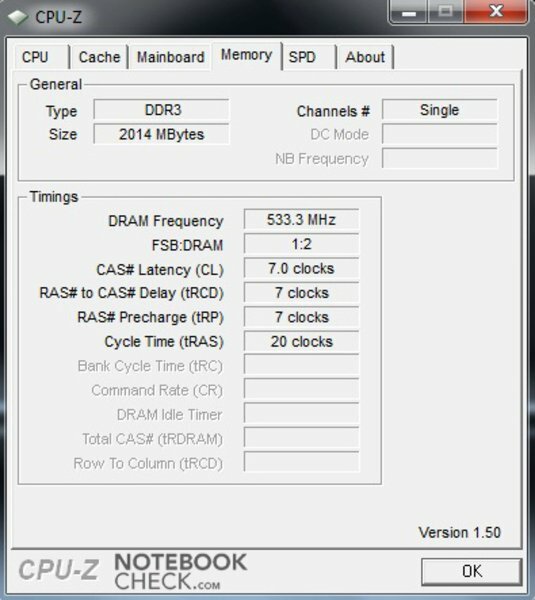 The CPU-biased Cinebench R10 benchmark ran without problems. 2034 points were reached in single-core rendering and 3833 points in multi-core rendering. It was 2811 points in OpenGL Shading. If you compare the results with the listings in our data bank, the overclocked SU7300 classifies itself on about the level of a T4200 (Dell Studio 1555) or an SL9600 (Apple MB Air) in Cinebench's single-core test. The SuperPI 32m benchmark test turns out somewhat better. 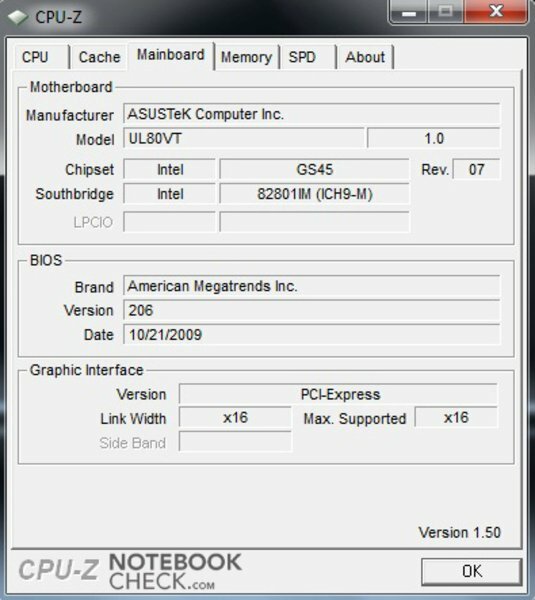 The CPU reaches the level of a T4300, in Asus' K61l, with 1583 seconds. There is already a Seagate 500 GByte hard disk memory (Seagate Momentus 5400.6, ST9500326AS) built-in ex-factory. 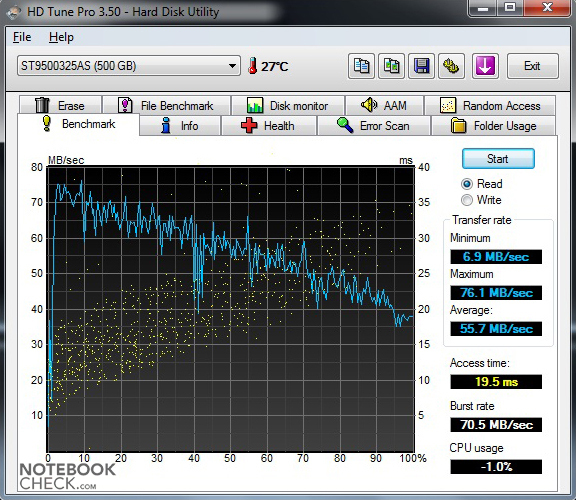 We sent the hard disk through the benchmark from HDTune Pro. The minimum transfer rate is 29.8 MByte per second. In comparison, the maximum transfer rate is 78.6 MBytes per second at an access rate of 19.6 milliseconds. The throughput rate is 70.4 MByte per second. The hard disk basically works quietly and is in a good center field in terms of performance. 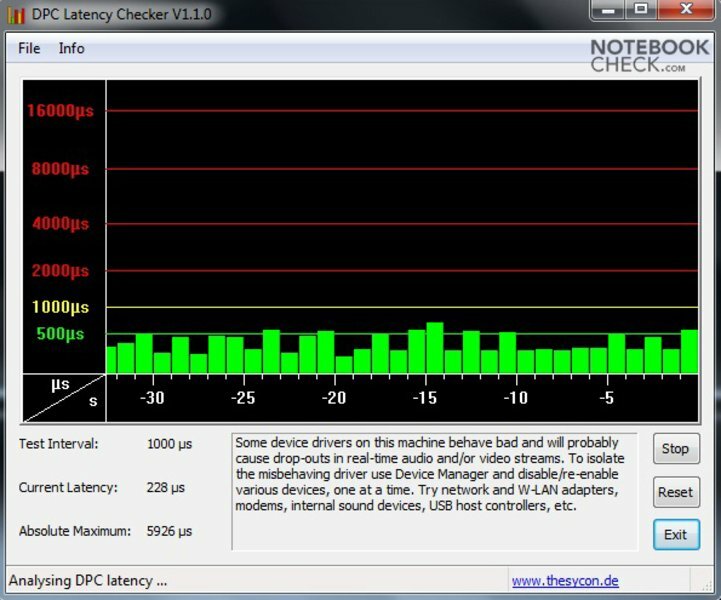 We checked the latencies under Windows 7 with DPC Latency Checker. It can come to synchronization problems with external hardware (audio) if a few values are beyond 1000 µs. The values that we assessed were all within a good range at about 500 µs. Thus, problems shouldn't turn up in terms of this. Because the UL80Vt-XO037V is equipped with Nvidia's GeForce G 210M graphic chip set, we also took a look at the game performance with two current game tracks (Anno 1404 and Racedriver GRID). 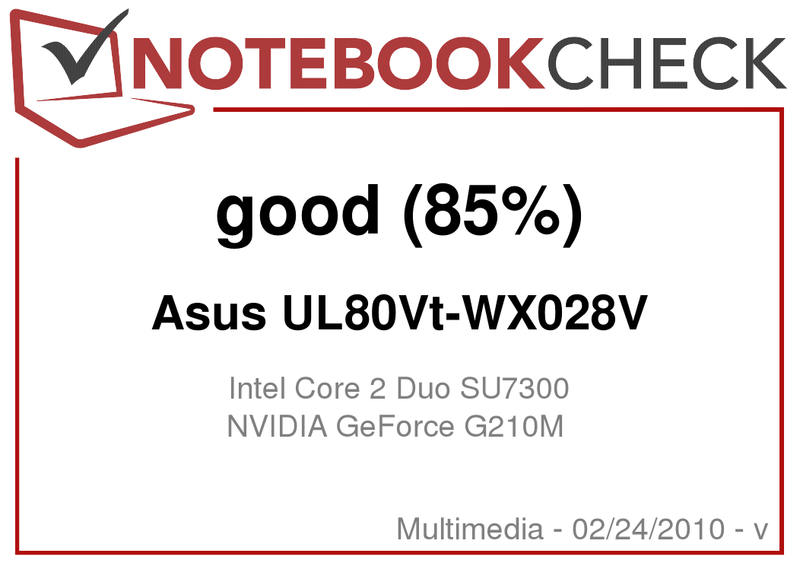 These rates can be found in the review of Asus' UL50Vt-XO037V that has the same hardware configuration. You shouldn't expect any miracles because the notebook has been aligned for multimedia applications. However, if you can do without high details and AF you can play quite well on it. 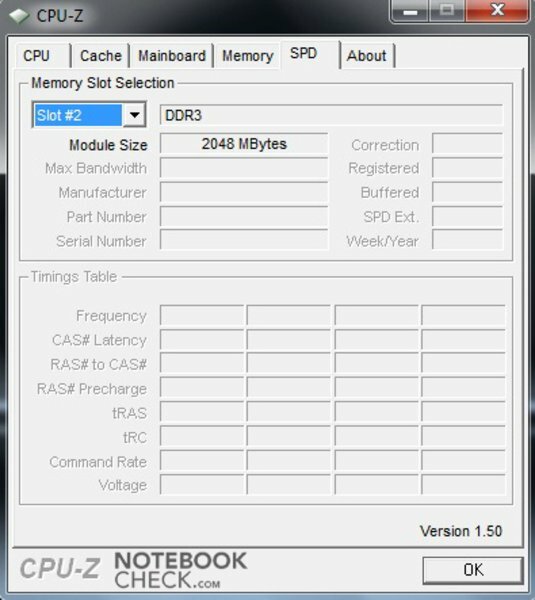 The notebook is barely audible with 30.8 dB(A) in battery mode and between 31.0 and 31.8 dB(A) under load or hard disk access. The notebook is within a normal field with these values. The fan emits a quiet noise that is slightly noticeable but doesn't disturb any further in normal mode. But as soon as a DVD is inserted into the drive and you want to enjoy a movie, the noise level rises to 36.0 dB(A). The noise development is very perceptible at this point. Between 37.1 and 47.1 dB(A) are recorded under load. You have to count with a maximum of 37.1 dB(A) at normal use with a few programs. The values under full load, measured at a distance of 15 centimeters, are in a higher level and fluctuate between 43.3 and 47.1 dB(A). 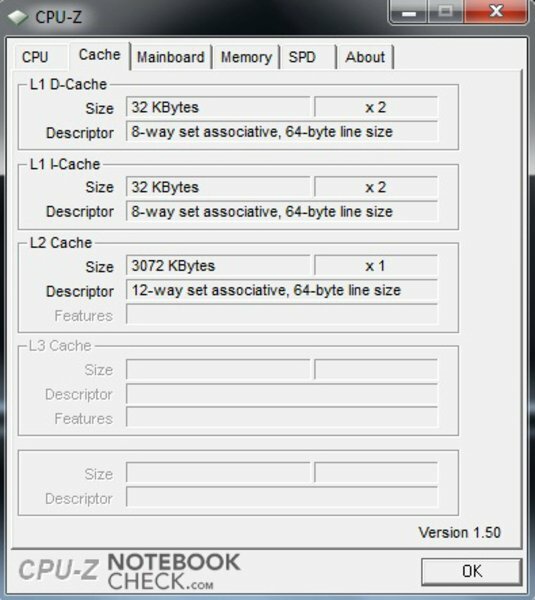 The evaluations are within a normal field for a notebook, with exception of a few measurements under load and at DVD rendering. We measured the temperatures at a room temperature of 23°C. The maximum recorded rates of 41.9°C in the keyboard area and 44.4°C selectively on the notebook's bottom, remained within a still acceptable range. We measured all temperatures under load. The case stayed considerably cooler without load and in a less demanding office mode. Values of up to 33°C on the upper side and up to 35°C on the bottom could be observed. There aren't any restrictions in terms of comfort to be expected with the assessed temperatures. The included adapter reaches a maximum temperature of 50.7°C under load. This is also within an acceptable field. (±) The average temperature for the upper side under maximal load is 37 °C / 99 F, compared to the average of 30.9 °C / 88 F for the devices in the class Multimedia. (±) The maximum temperature on the upper side is 41.9 °C / 107 F, compared to the average of 36.5 °C / 98 F, ranging from 21.1 to 71 °C for the class Multimedia. (+) In idle usage, the average temperature for the upper side is 30.9 °C / 88 F, compared to the device average of 30.9 °C / 88 F.
(±) The palmrests and touchpad can get very hot to the touch with a maximum of 37.9 °C / 100.2 F.
(-) The average temperature of the palmrest area of similar devices was 29.1 °C / 84.4 F (-8.8 °C / -15.8 F). 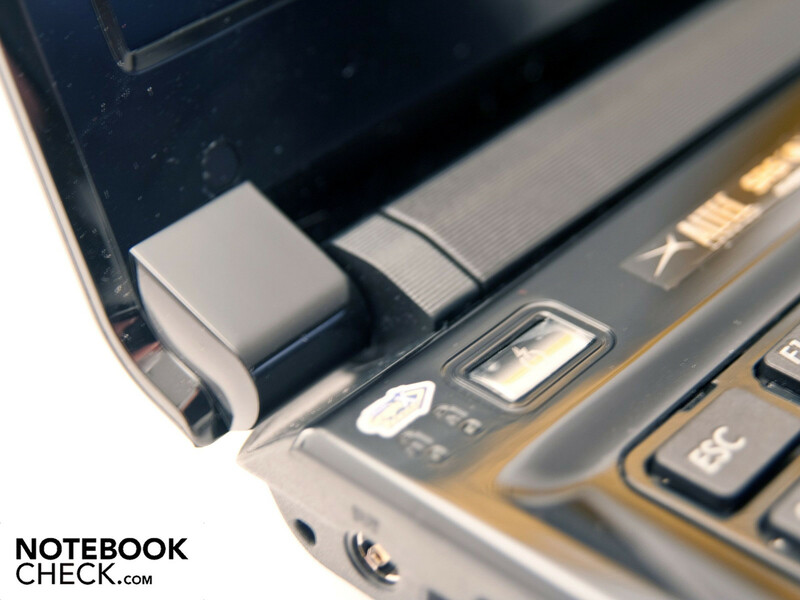 As it's appropriate for a multimedia notebook, the loudspeakers have a better quality than most poor standard notebook loudspeakers. Asus has integrated two Altec Lansing stereo loudspeakers. The deep pitches and basses are only minimally existent and the trebles partly come to the fore too directly. Overall, the sound is alright, though. However, a separate subwoofer would improve the sound considerably. External loudspeakers or good headphones are recommendable for a better sound. The UL80Vt-WX028V's true strength lays in the battery life. Aside from a higher performance, a very long battery life is achieved with the integrated Intel GMA 4500 HD graphic chip. An 8 cell battery with 84 Wh is included in the scope of delivery. In order to establish the battery runtime, we used the program "Battery Eater". We executed a total of four different run time tests. The battery was drained after exactly 3 hours and 58 minutes under full load with maximum display brightness, enabled WLAN, dedicated Nvidia GeForce G 210M graphic and high performance profile. The notebook still ran a few minutes after three DVD movies with maximum brightness. The notebook ran for a total of 6 hours and 12 minutes in this test. Even 9 hours and 23 minutes were possible with medium display brightness and enabled WLAN. This is enough for a work day in the office without mains supply. A very long battery life of 13 hours and 16 minutes can be achieved by reducing the display's brightness, selecting the integrated graphic and enabling all energy savings options. 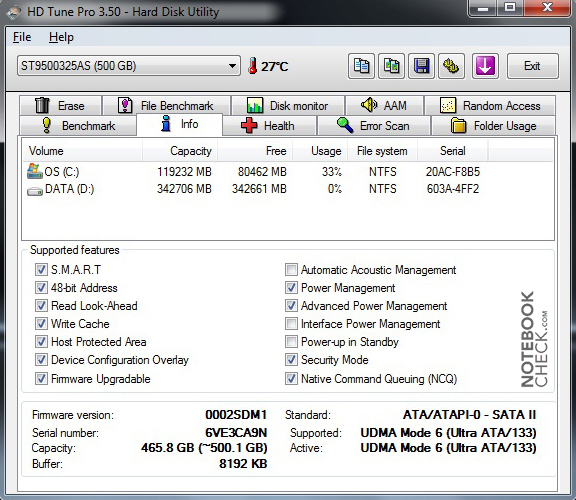 These are top values for a 14.0 inch notebook and only very few notebooks can keep up with this runtime. 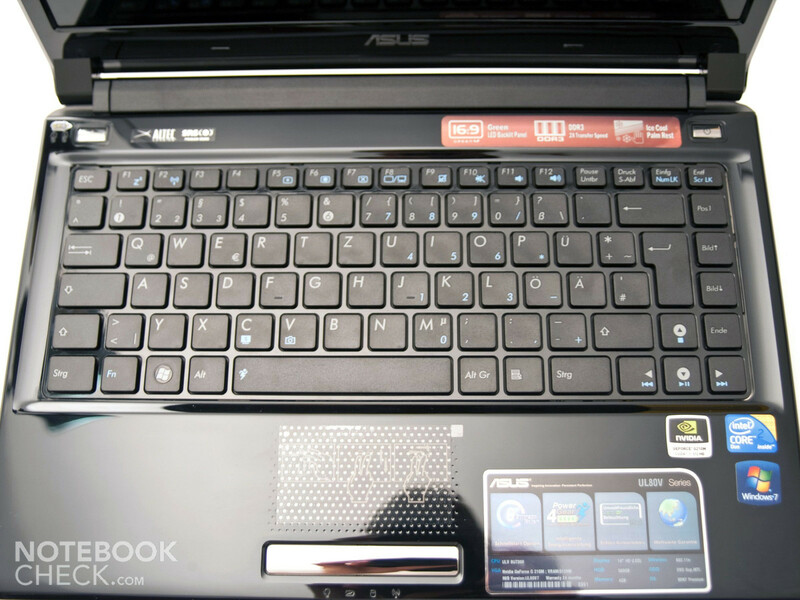 Merely MSI's Wind U115 Netbook and Asus' UL30A from the same notebook series can compete with this battery life. The power consumption of our prototype is largely within limits. Between 8.6 and 14.0 watts are consumed in normal mode. We noticed the power consumption of the preset screen saver with maximum brightness negatively. The notebook needs a high 23.4 watts in this field. 35.8 to 48.9 watts are consumed under load. These rates are in a normal range for a 14.0 inch notebook with a dedicated graphic. 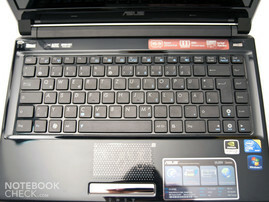 Asus' UL80Vt-WX028V left us with a good impression for the largest part. The black case is very elegant and also even well manufactured. However, the flexible display lid and the instable keyboard area are a weakness. 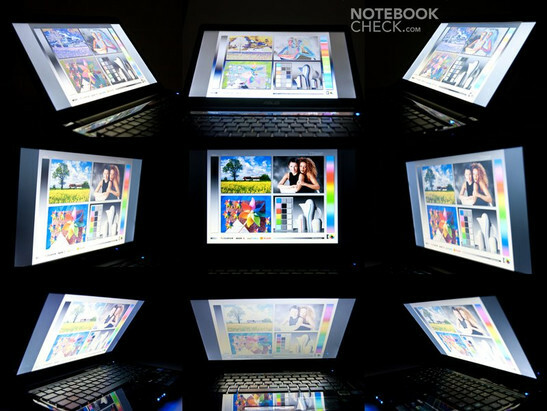 The connectivity variety is, as to be expected of multimedia notebook, quite circumferential. The 14.0 inch display has a good image and complies with HD Ready requirements at a resolution of 1366x768 pixels. Unfortunately, black looks rather more gray than black with a black value of 1.11. The performance is, due to the strong Nvidia GeForce G 210M graphic and the overclockable CPU, comparatively good. Because of the hybrid graphic solution selected by Asus, an extremely long battery life can be achieved. 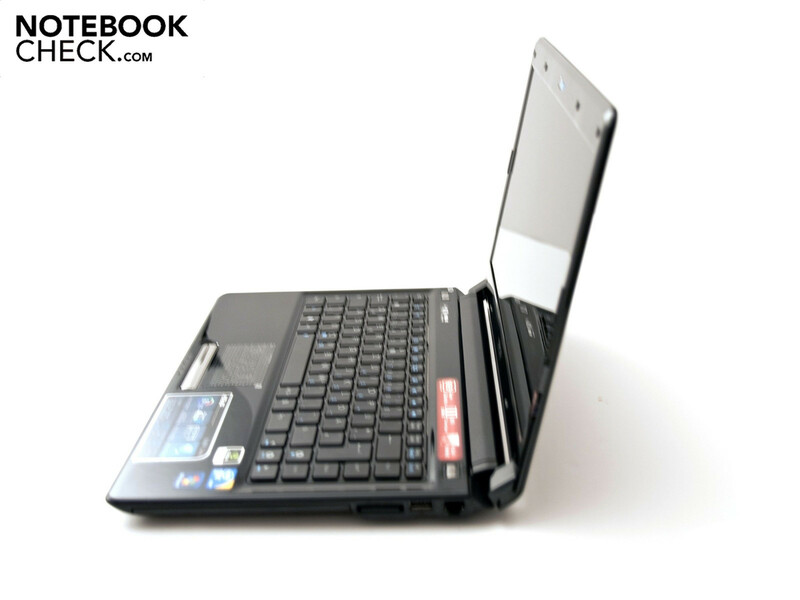 The UL80Vt-WX028V is at the top of the notebooks reviewed by us with a battery life of over 13 hours. 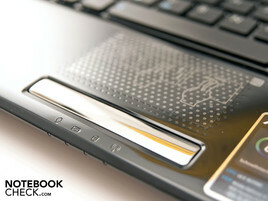 Asus bids a solid multimedia notebook with a chic design and a very long battery life for 799 euro (RRP, incl. VAT). It has a few smaller weaknesses, but you can overlook that with the otherwise good implementation of individual requirements. The user-friendly keyboard layout can convince. A webcam with 0.3 megapixels shouldn't be left out. ...and the content isn't readable selectively. The extremely long battery life, the two graphic chips, the price, the chic and elegant design and the good workmanship. Eventually further interfaces for peripherals, an ExpressCard slot and the one or other supply goody. The good performance in the multimedia field paired with a very long battery life - the well functioning hybrid solution with Nvidia's GeForce G 210M and Intel's GMA 4500MHD, as well as the Turbo33 feature. 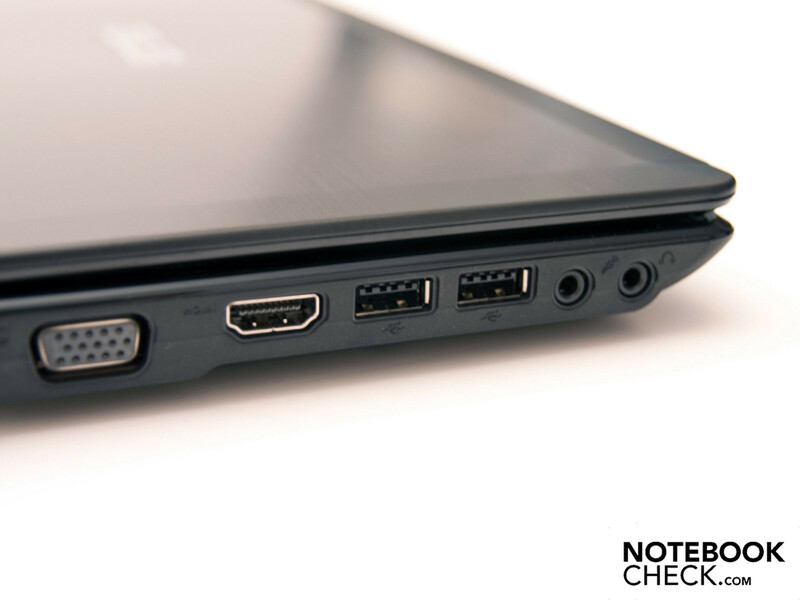 There aren't many notebooks in the 14.0 inch division that can keep up with the UL80Vt yet.